Springtime is finally here, and Easter is right around the corner. It's time to get your kids out of the house, or if the weather is too rainy, to at least get their hands busy! Whether it's making crafts or making snacks, you want to make family time fun for your kids. So, get ready to get your hands dirty and hop into these sometimes messy, but always fun ideas! Plant a garden: Spring is the perfect time of year to plant flowers, veggies, and herbs. Cornering off a small section of your backyard to dedicate to gardening is something the whole family can help with. Not enough backyard space? Try container gardening, which is even more perfect for little hands! Gardening is a great way to get your kids actively interested in the foods they eat. Kids are more likely to eat vegetables they've grown themselves! 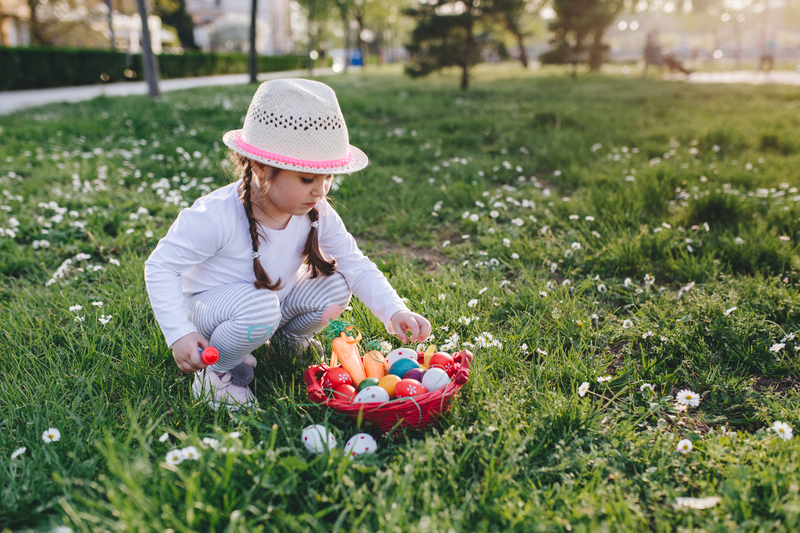 Spruce up the traditional egg hunt: An Easter egg hunt is a cornerstone of many Easter celebrations. Change it up a bit! Move your hunt to the evening and hide glow-in-the-dark eggs (bonus points if you put glow stick bracelets inside the eggs). Or, if you have a small crowd, give each child their own color of egg to search for - this is especially helpful for young kids. Make envelope bunnies: Send your kid to school with Easter treats inside a bunny-shaped envelope they made themselves! Combining a simple bunny template, decorative items, and your child's natural creative flair (courtesy of Martha Stewart, of course) you'll end up with an adorable way to celebrate Easter with their classmates. 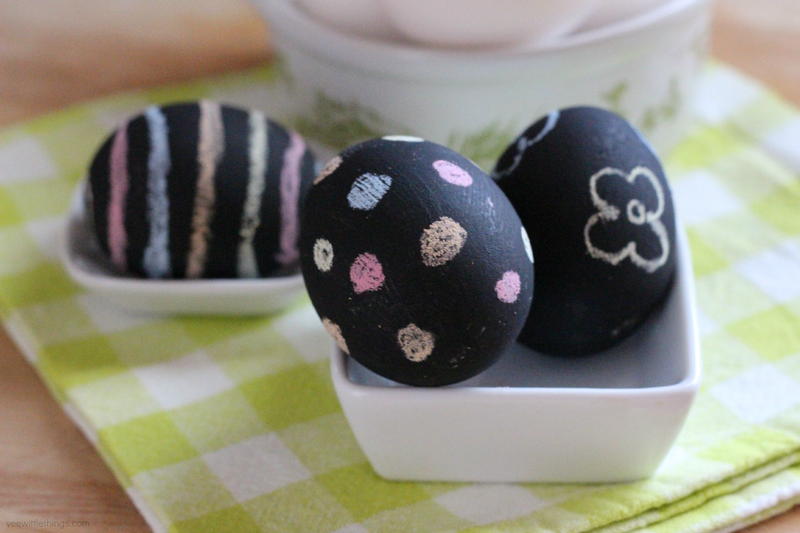 Paint eggs with chalkboard paint: This activity is fun for all ages, but is particularly great for toddlers and small children. Let their creativity run wild with mess-free chalk easily held in their tiny fingers instead of impossible-to-use paint brushes. Just pre-paint the hard-boiled eggs the night before with chalkboard paint (it comes in traditional and spray paint options). Mix egg decorating with science: Remember the old baking soda and vinegar volcano from your childhood? That's the science behind this neat Easter experiment. Simply mix a little baking soda, water, and food coloring together to create your "paint". Then, have your kids let out their inner Jackson Pollock. Then, carefully dunk the eggs into a cup of vinegar and watch the fizzy reaction! Easter bunny marshmallow pops: These marshmallow pops by Lindsay Ann Bakes are as fun to make as they are to eat. Because this recipe includes the use of food coloring and scissors, it's best to help your child in the creative process. By decorating marshmallows with sprinkles and gummies and putting it all together on a lollipop stick, your kid will make a treat almost too cute to eat. Rice Krispie nests: Turn your boring Rice Krispie treat into something extra special for Easter. Add sweetened shredded coconut to the mix and mold the treats into small, (adult) palm-sized nests. Fill them with egg-shaped candies like jelly beans, peanut M&Ms, or mini Cadbury eggs. 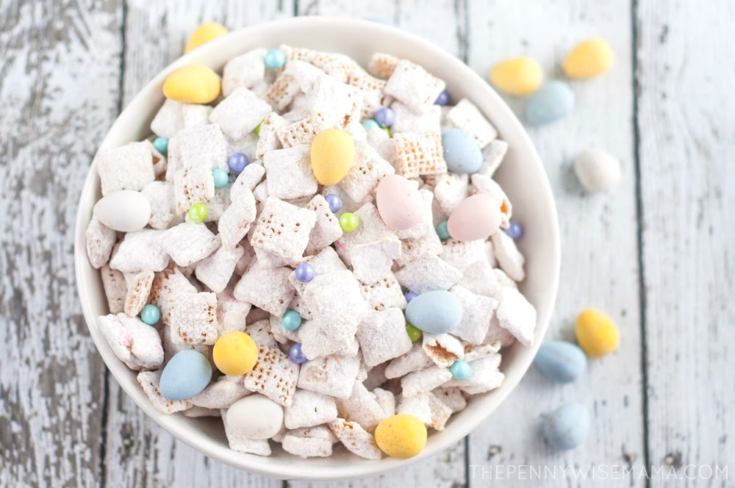 Easter Bunny Chow: An Easter-y take on the all-time Midwestern favorite, Puppy Chow, this Easter Bunny Chow by The PennyWiseMama includes white chocolate, powdered sugar, mini Cadbury eggs, and super cute sprinkles. Even without the peanut butter, this recipe is sure to get your kids all hopped up. Plus, with almost no actual cooking time, kids of any age can help make it! Springtime and Easter are all about new beginnings! It's the perfect time to start new traditions with your kids. What are some of your favorite Easter activities or recipes?